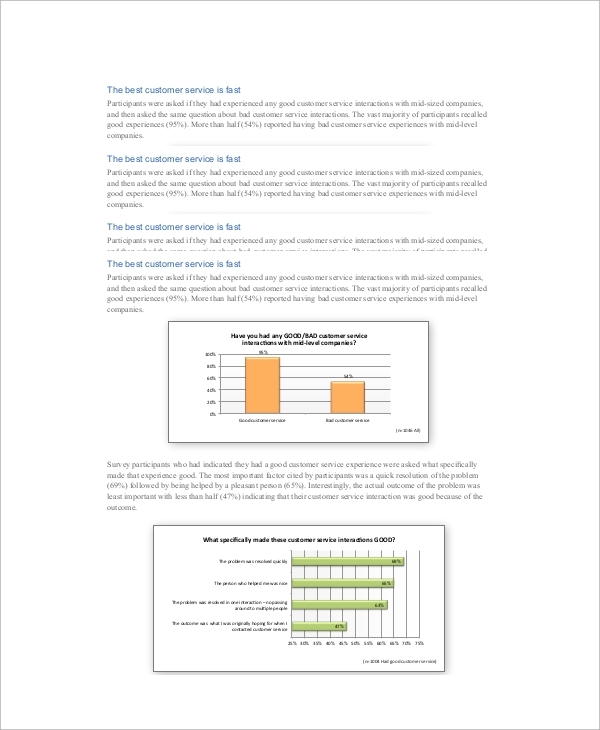 A Customer Survey Templates can be about anything that relates to the product or service. You may ask about the product quality, size and shape, packaging quality and looks, the styling, the quantity, and also how appealing the product looks, the price of the product or service, and the availability in the market or local stores, etc. There can be so many questions that relates to the product and service in some way, and you would get answers to all that through a proper set of customer survey questions. You may refer to the survey examples and employee survey sample to make an effective survey question list. 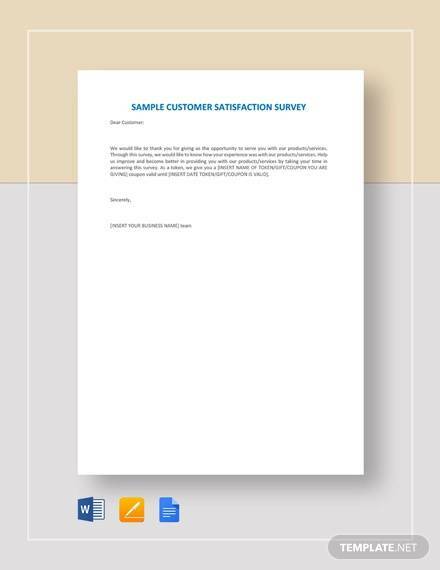 You may like Customer Satisfaction Survey Templates. 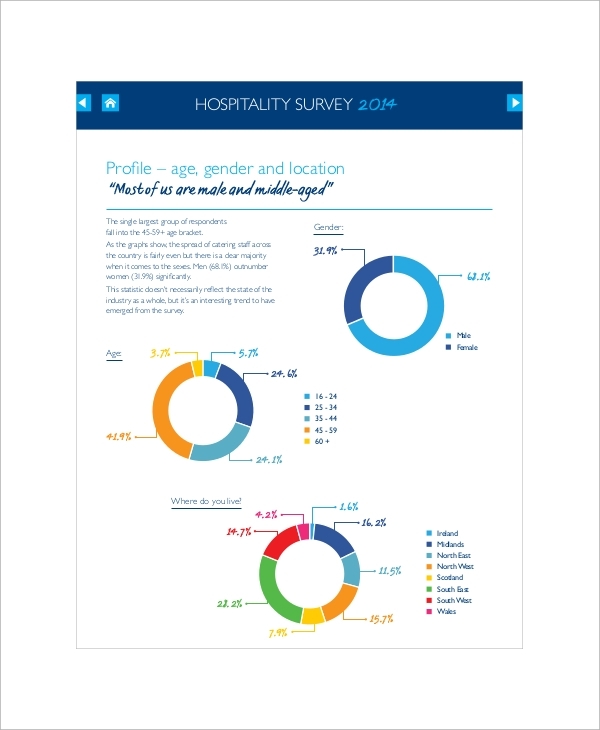 The hospitality customer survey is a smart way to know how satisfied the customers are to the hospitality of the hotel, or restaurant, the institution, the shop or service etc. This will help you understand customer demands and will help you improve your hospitality. The list of questions to draw out the conclusion is available with this template. The restaurant is okay or not, food is good or bad, the staffs are hospitable enough or not, how were the cleanliness and more of such details from the customers can be obtained with a proper set of survey questions. 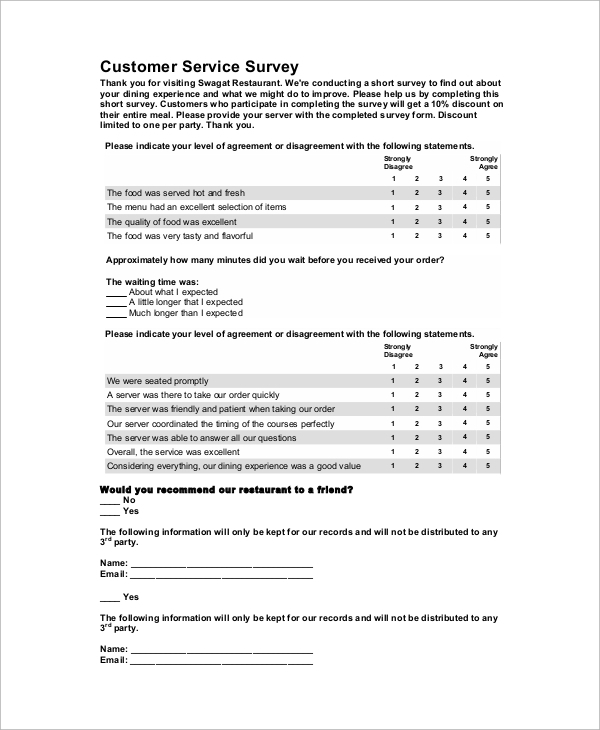 And to make this set of standard questions you can seek help of the restaurant customer survey samples. 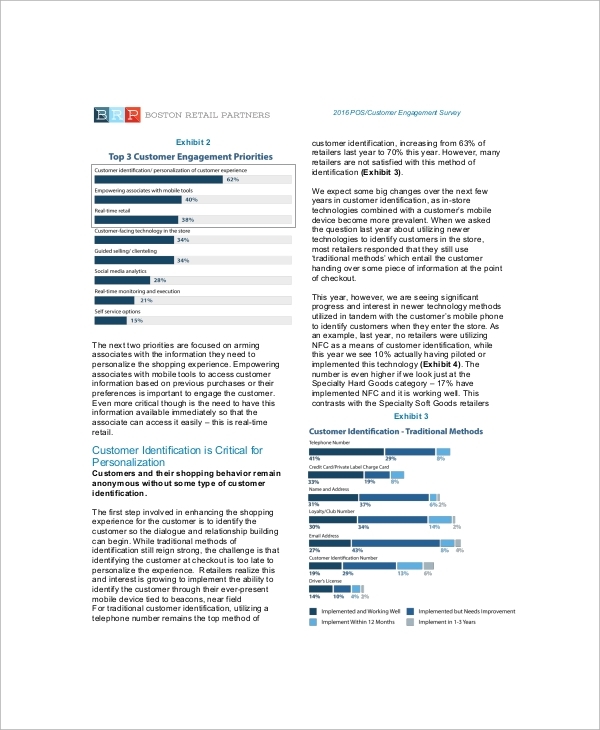 The retail customer survey is done to understand the market of retail customers. The more you interact and ask questions, the better you will be able to evaluate what the customers have to say about their retail experience. 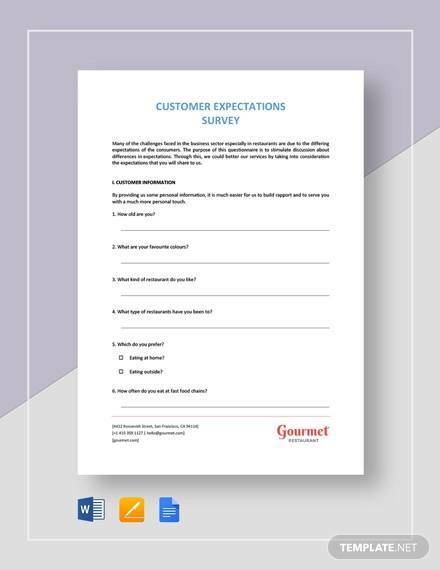 The retail customer survey forms would help you get the proper idea of setting the questionnaire. 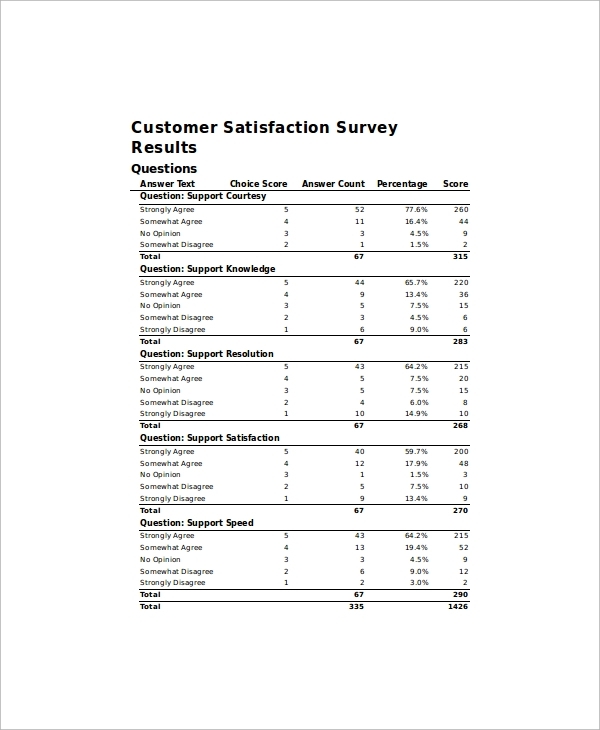 Why the Sample Customer Surveys are used? Samples are simply examples or fake question and answer sets that are to give you an idea of how a real set of questions should look like, and how official the look should be like, when you are printing the set. To get this idea you must refer to a sample set of questions of customer survey. 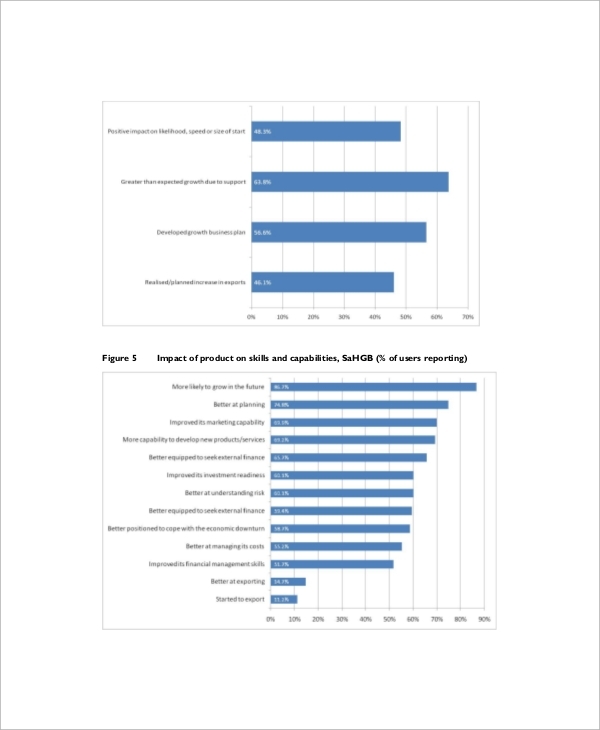 Customers are surveyed to know their experience with the product or service. 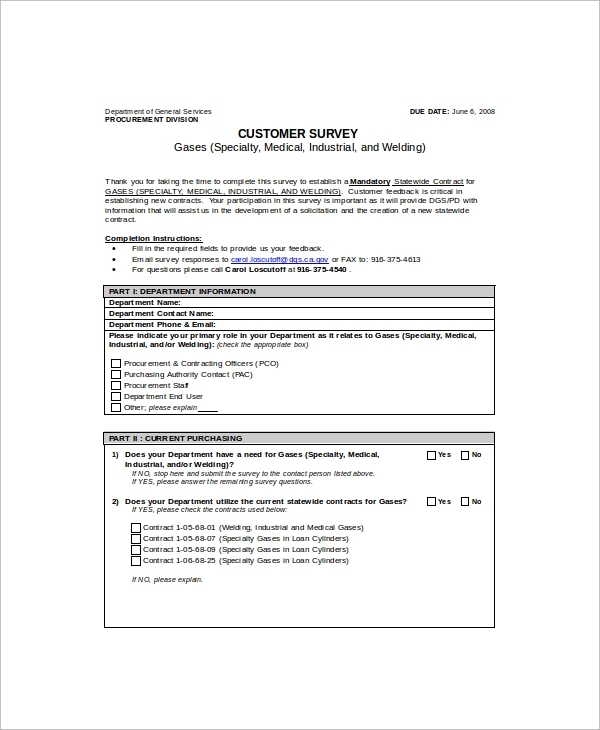 You may like Employee Survey Templates. The more you ask, the better you would dig into their minds. That is why to know more, and to ask a thing in such a way that you may reach to the right answer is a survey all about. Hence setting the right kind of questions as per product or service is highly important which a sample can help you do smoothly. What are the Benefits of using Sample Customer Surveys? 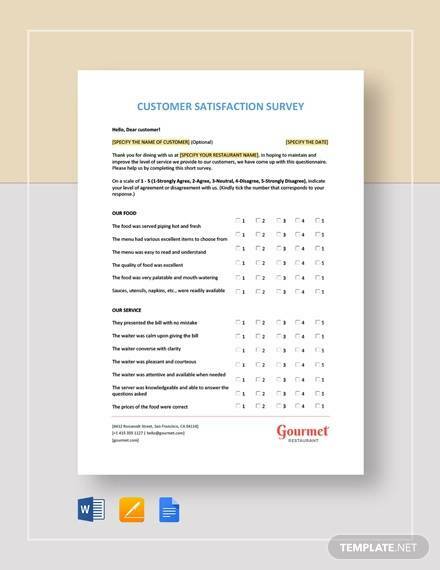 Customer surveys are highly needed by any product manufacturer, seller, retailer, service provider etc. Based on the answers they can actually find out their flaws, and why they are lagging behind in certain sections. This helps them plan a new route to improve products, improve marketing and advertising, and to enhance product looks and packaging, and beat their rivals. Recording of such opinion is not that easy unless your survey sheets are ready. 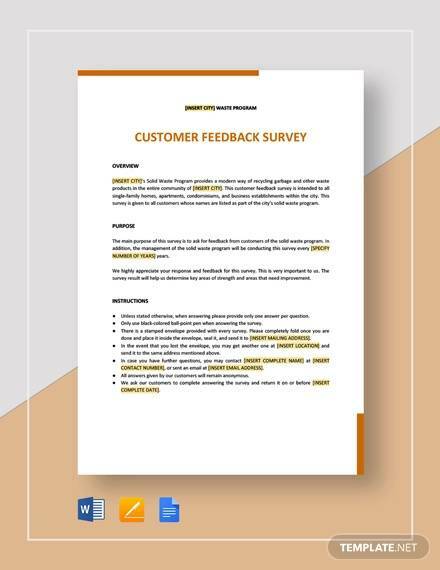 Whether you conduct the survey face to face or online, or on phone, you must be ready with all questions etc to do, which you can get help from by studying sample customer surveys. You can also see Student Surveys. 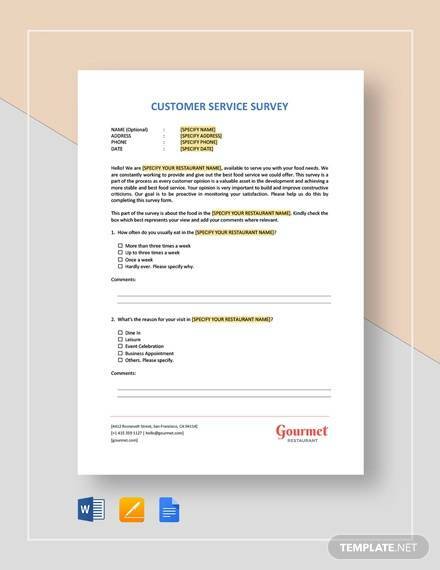 To make a customer survey form or format, you must have a set of questions ready, and must have a format ready too. In case you have none, you may seek help of the samples and templates you get online. Using them is free, and you are not charged anywhere. You simple have to download a sample which tells you a standard set of questions, which you ask customers for a typical survey of a kind of product or service. Various samples specific to product or service types are available, so that you get some basic and some specific questions. As per the references, you will be able to make your own set for official use, and may even use the employee satisfaction survey examples for some ideas. You may also like Patient Satisfaction Survey Templates. Satisfaction survey examples and samples that are to help you build a standard survey questionnaire are available online with template banks for free, and you may use them anytime to make your own set of survey questions. This will help you begin the survey soon, and shape it professionally.